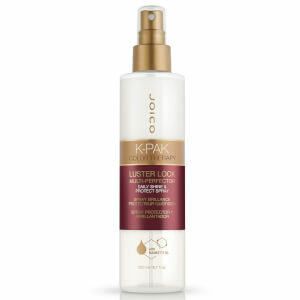 This refill bottle of Styler Vapor Fuel boasts a unique formula enriched with Joico's Quadramine Complex which works to reconstruct and repair the hair. The liquid transforms when in contact with heat, turning in a deeply penetrating vapour which sinks deep into the hair for amazing effects. Containing a blend of essential fatty acids, antioxidants, botanical moisturisers and featherweight silicones, it promises to leave your hair silky soft, supple and with a long lasting shine. A must have product for heat styling!